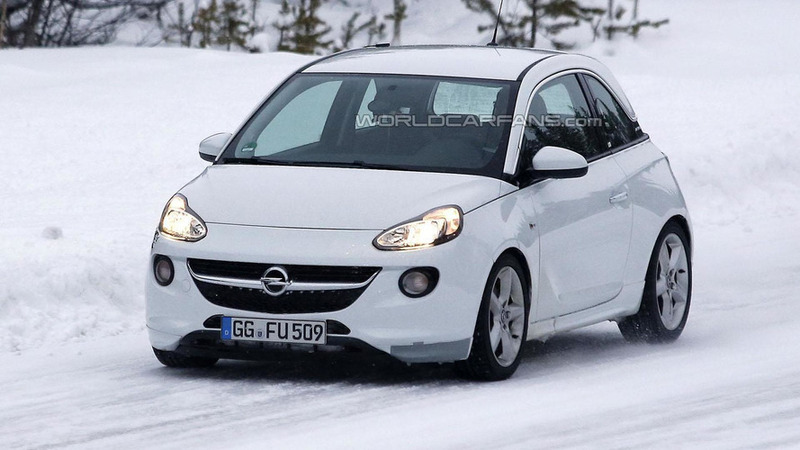 The Opel Adam was launched with a lackluster engine lineup but that could soon be changing if these spy photos are any indication. 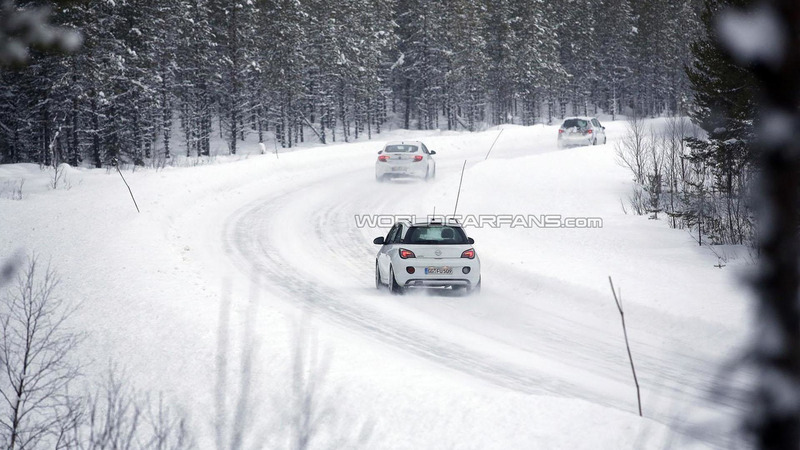 Caught undergoing cold weather testing in Sweden, this mysterious prototype appears to be a high-performance variant as it has been equipped with a new front bumper (with an additional air intake), a lowered suspension and rear disc brakes. The prototype also has five lug wheels instead of the usual four piece units. Nothing is official but power will reportedly be provided by a 1.4-liter SIDI Turbo engine that produces approximately 160 HP (117 kW). This would put the model in the same league as the Abarth 500 which uses also uses a turbocharged 1.4-liter engine.